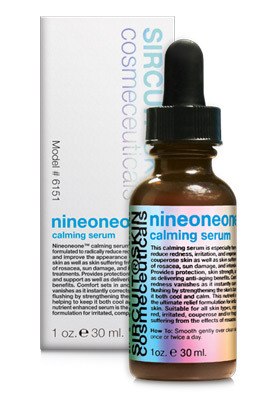 Nineoneone™ calming serum is especially formulated to help soothe sensitive skin as well as helps to combat the effects of environmental and temperature stressors. Comfort sets in as it quickly helps to infuse your skin with nourishing ingredients and important antioxidant protection. Deep moisturizing properties enhance skin-hydration, helping to seal in the skin’s moisture, thus increasing the smoothness and softness of the skin. A cooling and soothing formula with relaxation benefits that help to increase luminosity and enhance the skin’s overall quality and appearance. This nutrient-enhanced serum is the ultimate relief formulation for problem skin! Calms and soothes sensitive skin. Infuses your skin with nourishing ingredients and antioxidant protection. Helps to increase luminosity and even complexion. Protects skin from environmental and temperature stressors. Skin Type: Suitable for all skin types, especially those suffering from the problems associated with problem skin. How To: Smooth gently over clean skin or affected area once or twice a day. Dispense a small amount to back of hand and apply to face with light tapping motions avoiding eye area. Note: Formula may thicken over time. Shake well before use. Granpowder Lumière DP: Light-dispersing, color-correcting diamond core particles settle in the fine facial lines and subtly illuminate a blue light-deflecting effect. This effect helps to reduce the look of shadows, thus enhancing the overall luminosity of the skin. RejuvenOx® (Perfluorodecalin): An oxygen moisturizing agent that works to hydrate the stratum corneum and decrease the trans-epidermal water loss, thus increasing the smoothness and softness of the skin. It is comprised of relaxation benefits which aid in smoothing the appearance of fine lines and is an effective method for reducing the visible signs of aging. Olivem®1000 Crystal Skin™: A self-emulsifying complex of fatty acids that mimics sebum and provides a deep moisturizing effect that can enhance skin hydration by sealing in the skin’s moisture and reducing evaporation to the surrounding atmosphere. 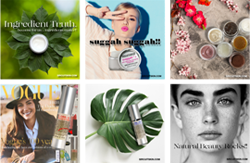 NAB® Rhodiola (Rhodiola Rosea Root Extract): This antioxidant helps to combat the effects of environmental stress while also helping to ward off the appearance of the visible signs of aging, thus enhancing overall skin quality. Niacinamide (Vitamin B3): A Vitamin B complex that has been suggested to be a potential antioxidant can also help reduce the visible signs of aging. Sea Buckthorn Extract: A rare Omega-7 fatty acid that is well known for its rejuvenating effects on the skin. High in natural Vitamin C and E, this extract provides benefits which include enhanced skin radiance and increased antioxidant protection. Chaparral Extract: A powerful antioxidant with protective properties. Bilberry Fruit Extract: An antioxidant known to calm the skin. Neutrazen (Palmitoyl Tripeptide-8): A peptide that can assist in the calming and soothing of sensitive skin, helping maintain good skin quality and appearance. Phytophingosine: Helps to minimize moisture loss thus improving skin hydration as well as having soothing effects to improve the condition and appearance of problem skin. Formulated With: Aqua (Water), Benzimidazole Diamond Amidoethyl Urea Carbanoyl Propyl Polymethylsilsesquioxane, Glycerin, Caprylic/Capric Triglyceride, Perfluorodecalin, Niacinamide, Cetearyl Olivate, Gluconolactone, Sorbitol, Hamamelis Virginiana (Witch Hazel) Water, Rhodiola Rosea Root Extract, Aloe Barbadensis Leaf Juice Powder*, Hippophae Rhamnoides (Sea Buckthorn) Extract, Larrea Divaricate (Chaparral) Extract, Vaccinium Myrtillus (Bilberry) Fruit Extract, Olea Europaea (Olive) Leaf Extract, Horse Chestnut Powder, Palmitoyl Tripeptide-8, Pentylene Glycol, Beta-Glucan (D), Bisabolol (L-alpha), Kinetin, Allantoin, Asiatic Acid, Glycyrrhetinic Acid, Phytophingosine, Sorbitan Olivate, Citric Acid, Magnolia Grandiflora Bark Extract, Alcohol Denat., Xanthan Gum, Butylene Glycol, Epigallocatechin Gallate, Dextran, Potassium Sorbate, Sodium Benzoate. *USDA Certified Organic | NOP. Phthalate-free.